When Bill Gaines testified in defense of comics before the Senate Judiciary Subcommittee to Investigate Juvenile Delinquency in 1954, he was staking out a lonely position to say the least. The establishment view of comics ranged from bemused indulgence to outright fearmongering à la Fredric Wertham, but hardly anyone entertained the notion that they were worth defending on First Amendment grounds. Decades before the establishment of CBLDF and the advent of comics in libraries, though, one familiar ally was already speaking up on their behalf: the American Civil Liberties Union. The ACLU had been founded three decades earlier to defend the civil liberties of World War I-era dissenters including conscientious objectors and radicals of all stripes. Since then, it had taken principled but often unpopular stands in high-profile cases such as the Scopes ‘Monkey Trial,’ and was the only national organization to speak out against the federal government’s internment of Japanese Americans during World War II. In the very same year that the Senate was preoccupied with the alleged evils of comics, the ACLU and the NAACP won a landmark victory in Brown v. Board of Education. It’s not so surprising, then, that the ACLU took up a lonely defense of comics alongside Gaines and other industry insiders. The organization’s statement to the Senate Subcommittee was expanded and published the following year as a 15-page pamphlet titled Censorship of Comic Books: A Statement in Opposition on Civil Liberties Grounds. Thanks to the HathiTrust Digital Library, this publication–most likely the first ever detailed Constitutional defense of comics–is now available online. [I]t is unreal to discuss the problems of censorship of comic books in a context which implies that only children would be affected. There is ample evidence that a large part of the comic book readership is adult. The ACLU is opposed to the prior censorship of reading material for adults, even if children may obtain access to such material, for we believe that the First Amendment flatly prohibits it. To condone pre-censorship for children is to risk abandonment of all material to the censor, since in one way or another youngsters are apt to obtain any book at some time. 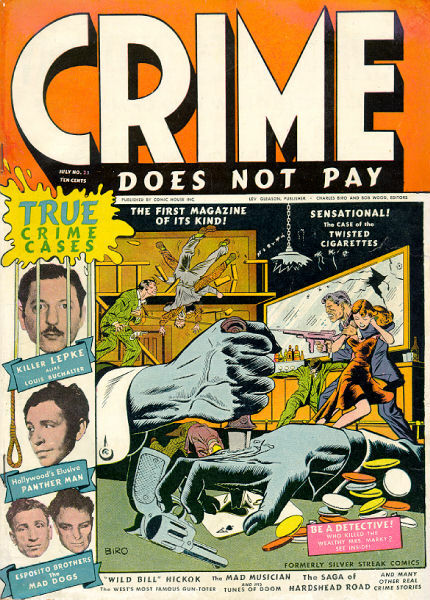 There is ample evidence that a prohibition always heightens interest in the banned product, and it can be expected that ‘bootleg’ sales will spring up, especially as children will realize that comics are legally unobtainable….It is common knowledge that comic books are passed from one child to another and if one undesirable comic book gets into the hands of a single child, a great number of children will be exposed to it. [In communities that have such laws], each bookseller is faced with the task of determining who is a qualified buyer, and deciding which comic book is outside the pale. This law may be more difficult to administer than the law forbidding the sale of liquor to minors. 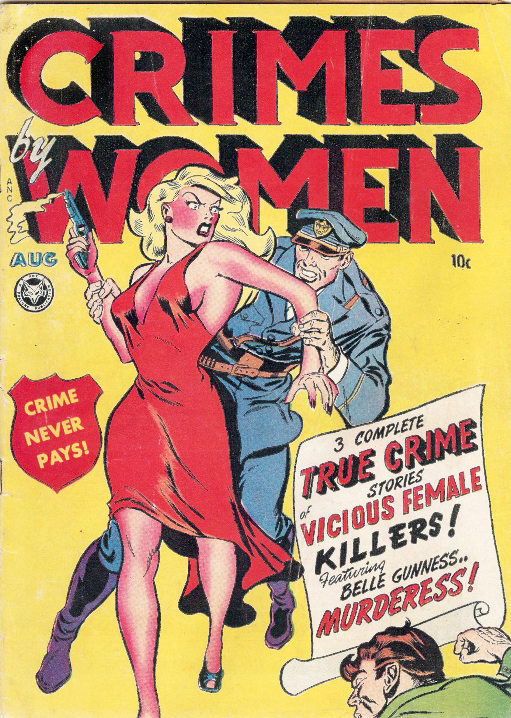 We are opposed to the wholly improper procedure of certain law enforcement officers who, instead of commencing prosecutions against the publishers and wholesale distributors of magazines–businessmen economically able to defend themselves against lawsuits–rather threaten the small, local retail booksellers who are in no position to resist official coercion. What happens in these cases, in effect, is that a ban on particular books results without any hearing on the merits of the book itself and the protection of a jury trial…. Collective adherence to a single set of principles in a code has the effect of limiting different points of views, because individual publishers–as well as writers–are fearful of departing from the accepted norm lest they be held up to scorn or attack and suffer economic loss. (The ‘seal of approval’ granted by the Code to approved publications also places economic pressure on local distributors, who are also under surveillance by local pressure groups.) But the variety of ideas is the lifeblood of a free society. Whatever evil exists in the restraint of competition in our economic life pales in significance when compared to the dangers of monopoly or uniformity of ideas. There may be, in the absence of censorship, some risk that some persons along the line may possibly get hurt. But our life is founded upon risk. There is risk–and indeed certainty–that every day many people will be killed by automobiles, and yet we leave automobiles on our streets. I suggest to you that the institution of free speech is surely just as vital to our society as the automobile. Risk there is in all life, and we must take this risk on the side of freedom. That is the glory of our way of life. Censorship is abhorrent to Americanism. There is much more to be found in the full text of the pamphlet here. Three cheers for the ACLU of yesterday and today!